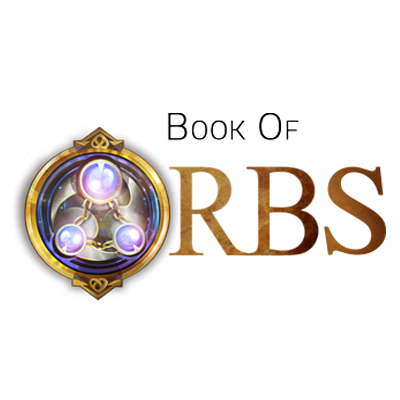 ‘Project Orb’ is excited to launch ‘Book of Orbs’; an app created to enable the interoperability of mobile games. It is our goal to enable the gaming platform to hold universally operable functionalities. The key premise of ‘Book of Orbs’ centers around the counterparty exchange of game items on the Bitcoin Blockchain. ‘Project Orb’ seeks to revolutionize the concept of true digital ownership for game players, everywhere. ORB is an acronymization of our ‘Project ORB’ mission statement. Meaning ‘Ownership Revolution on the Blockchain’; products of ‘Project ORB’ refer to game items that are tokenized for trading on the Bitcoin Blockchain. ‘Counterparty’ refers to an open-source, tokenization platform built atop of the Bitcoin blockchain. You can learn more about Counterparty at the official website, www.counterparty.io. ORBS on ‘Books of Orbs’ refer to tokens built atop of the Bitcoin Blockchain, using the counterparty protocol. To send and trade ORBs, you have to pay a small fee to Bitcoin miners; this allows for the timely confirmation of your transaction. Backing up your ORBs is a simple process. After signing up to the app, please take note of your 12-word recovery passphrase. This is all you will need to recover your ORBs, on a new phone. It is of paramount importance that you to have a hard copy of your passphrase available, as we are unable to recover it for you. This is to ensure that your ORBs remain secure at all times. Book of Orbs is excited to announce that Takara; a geocaching app, is the first third-party application to allow users to pick up ORBs and other cryptocurrency tokens; all over the world! As Book of Orb’s user-base continues to expand, we have every intention to invite other games and applications, to join our journey to revolutionize ownership on the Blockchain. Check out http://www.bestbitcoinexchange.io/ to find the best Bitcoin exchange for you. You can also exchange your Bitcoin for BitCrystals and WILLCOIN; to use within ‘Book of Orbs’ and its supported apps.